1 February 2018 - Today, the International Generic and Biosimilar medicines Association (IGBA) launched an information campaign on biosimilar medicines. The foundation of this campaign is the IGBA biosimilar medicines public slide deck(1). Access to well-referenced information is fundamental to improving worldwide understanding and acceptance of biosimilar medicines, which support patient access to life-saving treatments, enhance competition and contribute to healthcare system sustainability by offering savings for the same medical outcome. Biosimilar medicines, like their reference medicinal products, help treat many complex diseases, including cancers, rheumatoid arthritis, psoriasis, inflammatory bowel disease, growth disorders and diabetes. The EU has approved the highest number of biosimilar medicines worldwide, and has acquired considerable experience of their use and safety. There is real world experience available of over 700 Million patient days from EU licensed biosimilar medicines alone(2), and “over the last 10 years, the EU monitoring system for safety concerns has not identified any difference in the nature, severity or frequency of adverse effects between biosimilars and their reference medicine”(3). 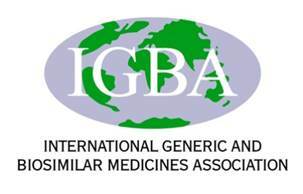 IGBA believes that this accumulated wealth of clinical experience with biosimilar medicines can become a worldwide game-changer for access to medicines for certain complex medical conditions. The slide deck has been developed to be shared for educational purposes with any stakeholder, and is complementary to the extensive information on biosimilar medicines, which has already been made available for example in the USA(4) and the European Union(5).